Artificial intelligence (AI) seems poised to transform healthcare all over the world, especially in China. Developing the systems that power artificial intelligence requires correlating thousands of variables spanning patient medical data and then developing software that can identify related trends among these variables and predict medical outcomes. In China, this poses a challenge: there’s a shortage of easily accessible healthcare data, because online and electronic health record systems are scarce. Some Chinese entrepreneurs seen opportunity within the market. Jun Wang, founder of the biotech company iCarbonX, is developing an AI-influenced consumer app that will provide customised health and medical advice based on a customer’s DNA, health habits and environment. Wang has established an alliance with healthcare data companies from around the world to provide expertise in mining medical and biological data. By integrating their different platforms, iCarbonX envisions being able to aggregate and analyse patient healthcare information quickly and cheaply. The voice-tech company iFlytek, will be further developing their technology to comprehend and think about speech in addition to its current capabilities of listening and speaking — features that could be incorporated into mHealth applications or used by healthcare providers who cannot directly communicate with their patients. Another technology platform, Ningbo Cloud Hospital, is using cloud computing to create a virtual hospital for the Chinese port city of Ningbo. Its services include collecting and analysing data for hospitals, pharmacies and insurance companies, and providing health education and diagnostic services for remote clients. Ultimately, though, these companies will be competing for global AI market share with large established companies such as Google and Apple. Legal experts note that regulatory bodies will need to evaluate AI technologies to ensure the systems are secure and accurate, and work out the liability issues that may arise when AI systems cause problems or make mistakes. Read more about China’s use of artificial intelligence here. Not long ago, more than 1,000 remote medical facilities in Chile lacked connectivity and many of its healthcare systems could not easily interoperate. To change this, Soledad Munoz Lopez, the CIO of Chile’s Ministry of Health (MINSAL), developed a new approach to IT architecture. Ms. Lopez implemented an API-based architecture. 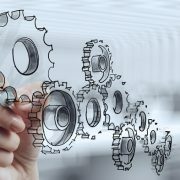 The API architecture dovetails into a variety of MINSAL’s healthcare efforts, including a national program to connect unconnected healthcare centers; a plan to digitize all clinic and administrative processes, both for major hospitals and local clinics and primary care centers; strategies to better leverage data and connectivity for public alerts, population health management programs, and the Public Health Surveillance initiatives required for planning and execution of public health policy; and the use of new secure national identity and biometrics services. One of the primary areas of concern addressed by the new digital architecture is integration. 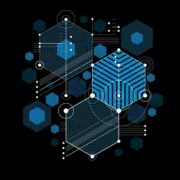 The API-first approach abstracts any back-end complexity into predictable, consistent interfaces that allow developers to quickly and efficiently connect data, services, and apps across the nationwide system. Resulting in a more seamless experience for doctors and patients and a secure but agile infrastructure for MINSAL. Ms. Lopez explains that all of these connectivity efforts help enable important new services and exciting innovations that benefit Chilean citizens, including telemedicine. The API platform helps professionals in the entire network of healthcare systems in Chile access patient information throughout the care cycle, reducing costs through shared information, eliminated delays, and reduced duplication of medical tests. The platform also provides information to apps and websites used by patients, allowing them to see and gradually empower themselves with their own health data. MINSAL has introduced hackathons, which are designed to encourage software developers, start-ups, and other institutions to take the capabilities of MINSAL APIs in innovative new directions and combine them with APIs from other government agencies and services providers. 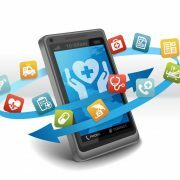 The result should be new apps and services that combine healthcare data in novel ways. MINSAL leaders are eager to integrate awareness about wellness and nutritional information into citizens’ daily routines, a goal that third-party apps are better equipped to fulfil than print and other traditional approaches. Already a leader in Latin American healthcare, Chile is now poised, with its API-based architecture and detailed vision for rapid improvement, to maintain its excellence and provide a model for using technology to improve the lives of millions or people. Read the full story on how Chile’s IT architecture is transforming its healthcare here. 2017 is a special year for CareDirector. On February 26th, we celebrated our 20th year in business and to help celebrate our 20 years we have created a special birthday fund of $20,000. 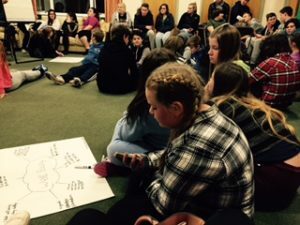 Torfaen Young Carers Service is a support system for people under 18 who have become a carer at an early age. 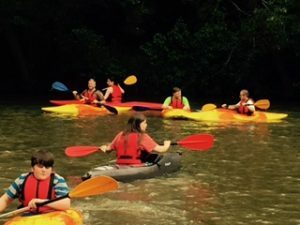 The service works with children, youth and their families to give the young carers support and a short break by engaging in social, age appropriate and leisurely activities. 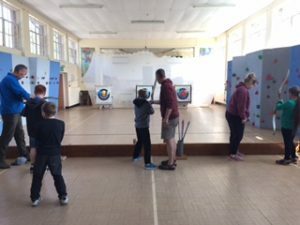 The support really makes a difference to the young carers by having the opportunity to meet up with other young carers and take part in fun, confidence building activities, illustrated by some of their comments below. 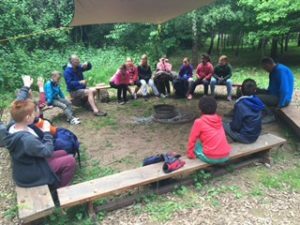 Luckily, CareDirector happened to be searching for a good cause to invest part of its birthday fund in and will be making a lot of young carers happy by funding the next young carers camping trip. Dr Ann Knefel, Child Welfare Specialist at CareDirector, shares her views on how CareDirector can help child welfare agencies in the US comply with the new CCWIS federal rule. The CCWIS ruling mandates modular, interoperable approaches to implementing case management solutions in child welfare agencies, enabling state agencies to pick the best of the best to meet their casework practice needs, which will hopefully make workers’ lives easier and improve agency performance. Our modern, flexible solutions can be configured, customized, and tailored to meet state agencies’ needs and help them comply with CCWIS. That makes it much easier and faster for them to adapt their system when they change a policy or practice—and manage their workloads and performance accordingly—than the way they had to do so in the past. CareDirector is a robust, proven solution on a highly configurable platform that really makes people feel empowered. Because the solution can be personalized, it puts the power of information directly into the hands of the people who need it. When information and insights are accessible in real time, people can make decisions with confidence and act quickly to support their agency’s mission. In child welfare, that’s critical because it’s kids’ lives on the line. Because our solutions are based on Microsoft Dynamics 365, they look and work like the everyday tools people are familiar with so that minimizes training needs and increases acceptance. They also work seamlessly with agencies’ other IT investments. Read Dr Ann’s full interview with Microsoft here. CareDirector will be exhibiting at this year’s ISM Conference in Maryland on 22-25 October 2017. 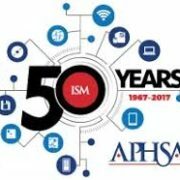 The ISM Conference is the largest health and human services technology event devoted to improving the delivery of health and human services programs such as child welfare. We will be showcasing our new CareDirector Connect app at the ISM Conference, come learn how we can help to improve your agency’s efficiency at Booth #206 or request a demonstration here. People not Paper. Our flexible, mobile app optimizes efficiencies, empowering caseworkers to have more time to do what they need to do: spend time with children, youth and families and complete high quality investigations and family assessments. COTS not Custom. Our CCWIS compliant system is an off-the-shelf, modular and interoperable solution that is less expensive to deploy and much easier to adjust as policies change. This also means you don’t need an outsized team of management consultants and engineers to deploy or maintain it. Quality not Compliance. CareDirector Connect has powerful reporting dashboards and visualization tools and effortlessly permits data exchange between state agencies and courts, education departments, Medicaid departments, or any other system when data integration is essential to casework and quality decision making. 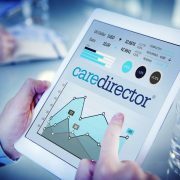 CareDirector was established in 1997 and now provides world leading health and social care software solutions across the United Kingdom, Ireland and the United States. 2017 marks our 20th year in business, and over the last 20 years we are proud to have completed hundreds of successful customer projects and have over 1 million users worldwide. We have designed flexible and user-friendly solutions for Service Providers, Managed Care Organizations and State Child Welfare and Aging & Disability Agencies. Our mission is to provide software solutions that enable Health and Social Care organizations to make a real difference to people’s lives.CareDirector will be at booth #206, come learn how we can help improve the efficiency and productivity of your agency! Don’t miss out on an opportunity and book a 15 minute demo here! 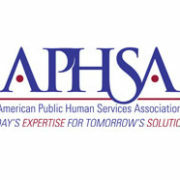 CareDirector recently exhibited at the APHSA HHS Summit in Baltimore, a great event with lots of interesting insights. The Tuesday afternoon General session, “The State and Local Landscape: A New Dynamic was a practical look at health and human services in an era of funding uncertainty. Zach Patton, Executive Editor of Governing was the moderator. The panel was composed of HHS executives at the state, county and local provider level and took place a couple of days prior to the House passage of the revised AHCA. Nick Lyon described how the consolidation of agencies including behavioral health, public health, aging, vocational rehabilitation, SNAP, CPS and cash assistance into the merged Department of HHS is helping Michigan do better serving people. They are currently designing a statewide integrated services portal. He said that they work within the parameters they are given, but would like to become outcome focused rather than “topical” focused. He later added that the consolidation of HHS in Michigan has allowed them to “marry” the views of behavioral health with physical health. They hope to add dental, and are moving this approach into CPS, with the ultimate goal of mitigating trauma. Nick talked about making rules consistent, and using common sense. He gave the example of an overly complex, incredibly long application form which they were able to reduce significantly. He also again advocated putting prevention first. Anita Friedman told us that Arlington, Virginia has a dense population in a small space, and that despite a median income of $109k, 25% of the population comes to HHS for services including public health, behavioral health, housing and employment assistance. HHS constantly re-evaluates funds and allocations. Gone are the days of “sacred cow” programs; if money isn’t being spent timely with supporting outcomes, back it goes into the pot for re-allocation. Non-profits are “being slaughtered; “ their funds being re-purposed and re-allocated. It’s not a “cultural shift,” but a reflection of reality. “We are not just service providers. We are community builders. Be a voice for the people who come to you who don’t have a voice. Make politicians understand that services are a crucial investment in the future of the community“. Denise Cross introduced us to Cornerstones of Care, a behavioral health agency providing services to children from birth to age 25, and their families. Their services include therapeutic foster care, adoption, residential care and pediatric psychiatric hospitals. Cornerstones operates in Kansas and Missouri, with additional services in Nebraska and Illinois. She supports reform at the federal level, especially increased focus on early intervention and prevention. They are diversifying their funding streams to reduce dependence on single at-risk sources, and building partnerships and strategic alliances with entities such as the University Hospital system. 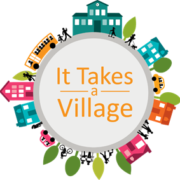 Cornerstones participated in a local tax initiative to support children’s services, as have ten other counties in Kansas. The issue passed. There is some risk of the state “punishing” the locals, but the community feels that they own the issues, and the solutions. Cornerstones invested in a robust EHR. They believe that data sharing is needed, and outcomes which prove they are making a difference, and that funding services isn’t a drain, but an investment in the future of the community. She said “Keep in mind, we all have the same goals, and we are all experts. Can we agree on a core set of values?” and noted that while “flexibility” looks good, who decides? Click below to watch the recording. Child Welfare Agencies are now proceeding with the transformation process for changing their Statewide Automated Child Welfare Information Systems (SACWIS) into the new Comprehensive Child Welfare Information Systems (CCWIS) rule. The Federal Government has prompted modularity to break up solutions into components, promoting a wider choice for state agencies. 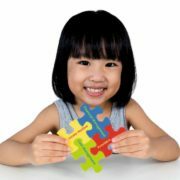 Embracing a modular approach for child welfare gives organizations the scalability to meet the needs of growing technology needs. Giving agencies the flexibility to grow new business processes as their CCWIS programs evolve. Modularity gives agencies the scalability to meet the demands of growing technology programs. Agencies now have the flexibility to integrate form and function as programs evolve. Giving agencies the opportunity to meet the challenges and the demands for more patient-centred services. CareDirector is an off-the-shelf and flexible end-to-end solution built for CCWIS compliance. Built on a familiar Dynamics CRM Microsoft platform which is designed to meet all your modularity needs. This makes it quicker and easier to deploy and use to effectively leverage agency data for decision making and action planning. CareDirector brings a core set of CCWIS. CareDirector’s interoperability provides a single, seamless state-wide application for data collection, reporting, assessment and case management. It will not only help meet the CCWIS rule but more importantly, it will help support the way your agency operates while achieving better outcomes for children, youth and families. Previously, the field of child welfare has been slow to adopt new technology and unable to demonstrate improved outcomes. This has led to a growing interest in the use of flexible “commercial off the shelf” (COTS) products to build newer systems and replace outdated legacy systems. CareDirector’s framework allows state agencies to choose their modules or even become a module (mobile, finance, portal etc) in your local CCWIS framework. CareDirector has served over 15,000 providers and replaced over 59 regional system. Including connecting 5 state systems with 41% increased utilization in the first six months. 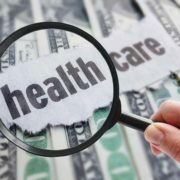 Despite the changes afoot in the US healthcare industry the move towards value-based care looks set to continue. Healthcare agencies and providers will therefore need to build and find new programs and approaches as 2017 marches on. This new era of health brings the promise of better value and improved outcomes for patients. Here are some of the 3 key trends CareDirector sees providers having to face in the year ahead. The pressure to reduce costs and improve quality is happening regardless of the ACA’s fate. It is estimated that 10 per cent of the world’s population will be over 65 by 2018. This is putting a strain on resources – through pressure to reduce costs and an even greater pressure to show better value. 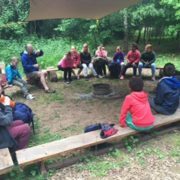 The focus has now moved away from outcomes such as money and infrastructure towards a person-centred approach. This will mean that agencies and providers will need to invest in operational efficiencies that optimise programs, products and services. Therefore a long term return on investment from IT suppliers and contracts is needed. The move towards patient-centred care has also created a trend for moving healthcare costs towards the patient. Health care providers and agencies need to strengthen their revenue cycle functions and strategies. To improve patient satistfaction and revenue collection providers and agencies should enhance their billing processes through integration. By allowing users to bill and document for services rendered users can easily navigate through all areas of patient care through one simple and coordinated system. When you apply for a credit card, banks use predictive analytics to understand how likely you are to repay your debts. This analysis helps banks increase profit through better decision making about how they lend their money. Healthcare agencies and providers are now benefitting more and more from these same types of advances in technology, with a focus on achieving better outcomes for children and families. By using research-validated algorithms agencies now have access to tools that help improve stability and decrease time to permanency. These improved outcomes not only allow agencies to provide better care for their children and families, but they also help reduce the actual financial costs of doing so.